Last Time i posted about AdSense was Big Hit. AdSense approval Along with HilltopAds, were the highest scoring articles for Bforbloggers. 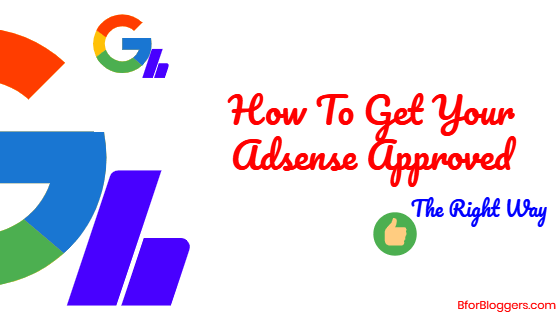 That’s why i thought to extend the AdSense Category and Here is the revised Edition On How You can Get the fastest AdSense Approval The Right Way. 1. Take No Shortcuts. Do Not Copy Content. The More Original you are the more faster you will be approved. This is an important topic for you to notice. You may don’t notice but there may be some pirated content on your blog. This can be an article you wrote after reading an article on some other blog. Piracy isn’t only meant to be as copy – paste. However you may curate contents based on your need. Try to write a content in your language rather and imitating someone. Make no grammatical mistakes and imperfections. Make your content beautiful and enjoyable. 2. Make Your Blog/Website Ad Ready. To Make your Blog Ad Ready, you need to have a responsive Theme. The theme must have Ad Slots above as well as below the folds. people should be able to see an Ad As Soon As they land and start reading an article. Make sure you don’t use any Third party Ad Service before applying to AdSense Approval. They will reject you in the first glimpse. Use a Responsive, Neat and clean theme. Also Note that many google AdSense Approval submissions get rejected due to “Improper Navigation” or “Difficult To Navigate” Themes. The best Theme You can Get Is From ThemeForest or MyThemeShop at very low rates. 3. Write 3-4 Long Articles just before a week of applying. As Each AdSense Account is manually approved, you need to make sure you write share worthy and long articles at the recent date. Google isn’t gonna check Each and every post of yours so a few posts with best content would work. A Long Article is not less than 1200 words. They are informative and provide the best relative i formation with links to every term user should know about. They may be a “How-To” or “What -is” Article. These articles also rank higher in Search engine results and Make the most of your blog’s success. 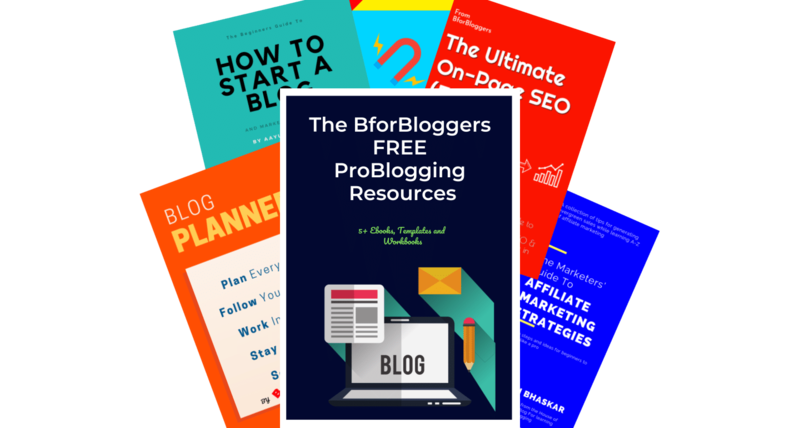 These pages make sure you are not a spammer and you are serious about your blog/website. They prove your site’s legitimacy. 5. 30 Days – 30 Post Rule. Do Not Submit your AdSense Application before your blog has completed 30 Days Of Continuous Online Run. You have to make sure you website /blog is fully built and launched. It shouldn’t be in a building stage. Apply after you have published 30 general posts including 10 long Posts. Use comprehensive language and literature. Try to use images as low as possible. Images should be uploaded only if necessary. They make your website/blog slow as well as decrease the area for readability. 6. Do Not Use Free Hosts. If you are using Free Hosts, you are already broken. Any Day, Someday, your blog will be deleted without any notice or clarification and your work as well as your dream will be vanished. Your work is not safe. Don’t believe me, Read This Case about a blogger‘s experience. For anyone (even you) who wants a quick, affordable and easy way to start a blog I would recommend Siteground hosting. In fact, they are officialy recommended by WordPress.org. 7.Branding Is Required. Although it isn’t compulsory for AdSense, it is needed to make your work yours. You have to brand your blog with a perfect logo, perfect & matching domain and Theme. This shows you are serious for becoming an online marketer and you will run for long. 8.Register your website/blog in Google and Bing webmasters and make sure you are verified. Take a minute and get yourself a google analytics tracking code. This will also help you in getting valuable and truthful analytical data to help you in understanding your traffic. 9.Keep following SEO RULES. I have a detailed guide on ranking and SEO, So make sure you check that out. Google have a decent place and respect for blogs and websites with proper optimizations for search engine. This makes sure you are willing to make your web presence and you are not mere beginner who will soon run out with nothing. 10.Keep Your Blog Upfront. Make your social media marketing a blast. Join Quora, Pinterest, Facebook,Twitter and Youtube (If possible). Social media, specially Facebook and twitter will provide you a great share of traffic if properly managed. Tools like Crowdfire and ManageFlitter Are great platforms for managing every inch of your social accounts. Keep your timeline updated and engage your audience. 11.Purchase your own domain name. A .Com domain extension is preferred. Google AdSense doesn’t even accepts the submission of websites have subdomains like domain.WordPress.com OR domain.tumblr.com. Get your domain from registrar like NameCheap or Godaddy for cheap Rates. Purchase a domain name which clearly mentions about your business. Your Domain Name us your Brand Name so choose it wisely. Any of the above will work for you if you aren’t getting approved for AdSense,Media.net or Infolinks. I hope soon you will be approved for top Ad Networks but remember, I need you to comeback here and tell me your story and techniques you used, either in the comments section,Twitter or through the contact form. Wow! Great article man! I’m waiting as just submitted my application. Thanks Aayush for helping. My Adsense is just got approval. I’m so happy and want to thank you for this checklist. 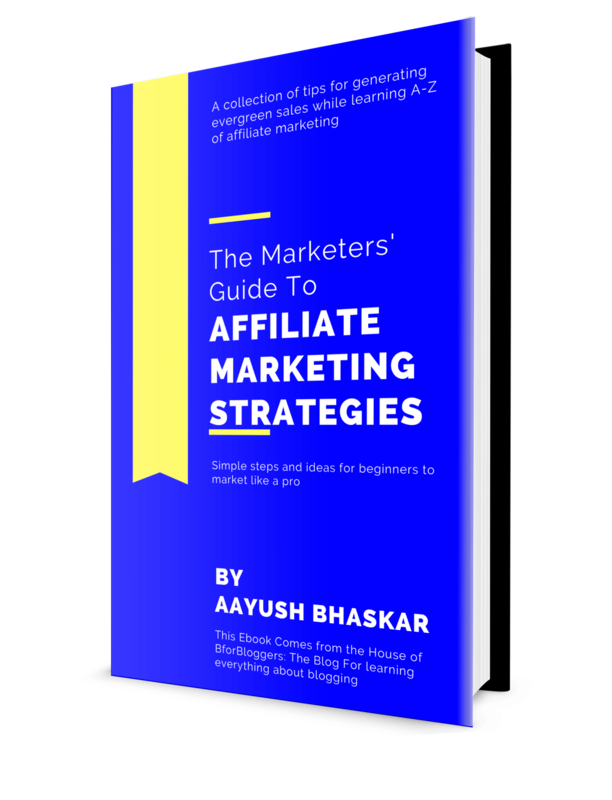 Hey Aayush, a great article , i was looking for it & finally i got it. Thanks for your clear advice. I feel quality is what helps AdSense to get approved the most. Wow Aayush, thanks for sharing this AdSense checklist. I have recently created a blog hope to monetize it through Adsense, really that will help me. Great Post! can I change my Google Adsense account from one website to another from one gmail account? You’ll have to use a different Gmail account for that.